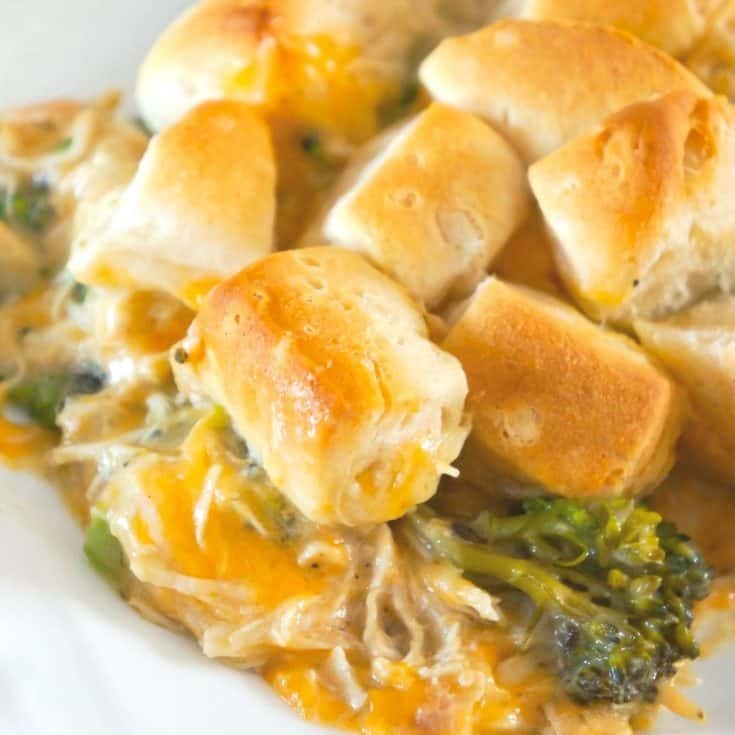 Chicken Casserole with Broccoli and Biscuits is an easy chicken dinner recipe using shredded chicken and Pillsbury biscuits. 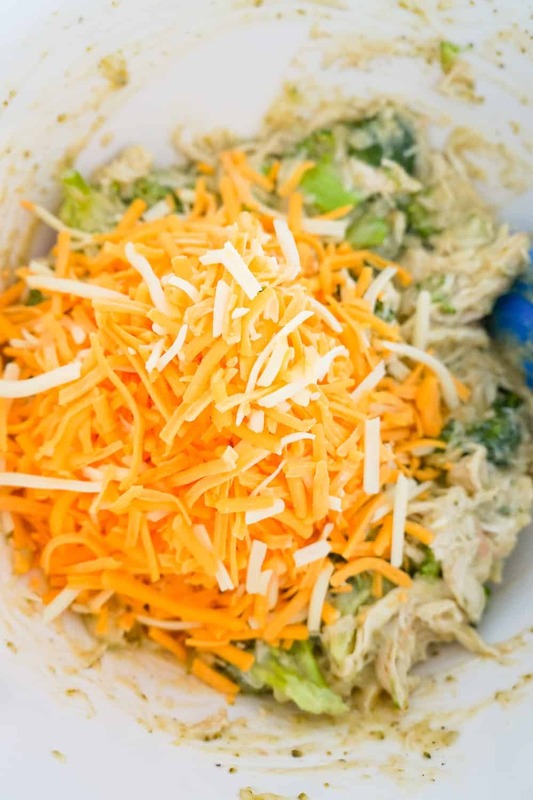 This creamy chicken casserole is loaded with broccoli and cheddar cheese. 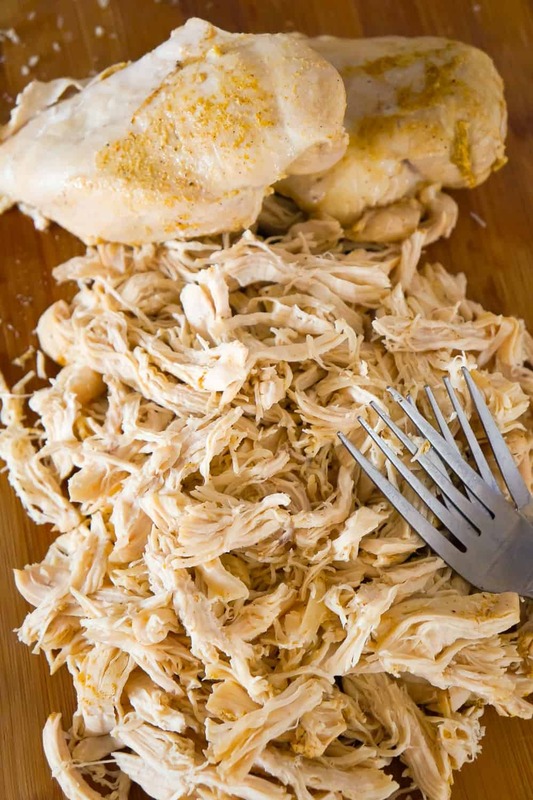 This recipe uses cooked shredded chicken. I used Instant Pot Shredded Chicken Breasts but any cooked chicken will work. 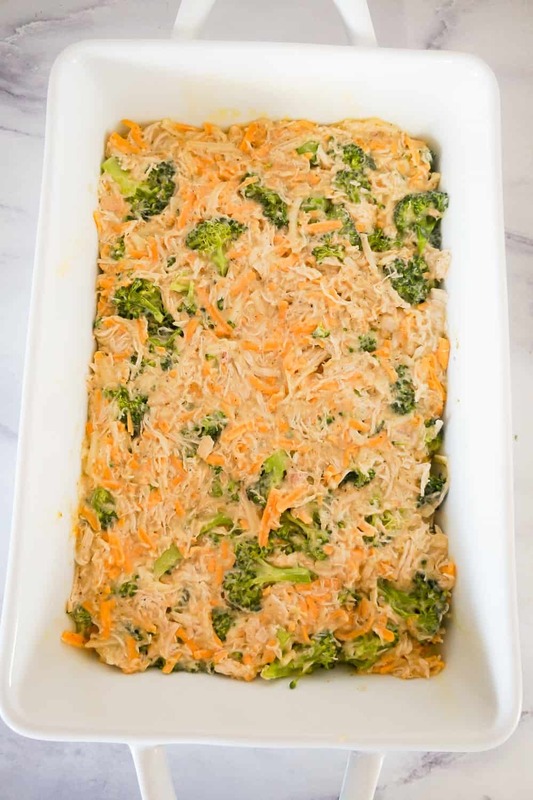 To make this chicken and broccoli casserole, I started by dumping the shredded chicken into a large mixing bowl along with some chopped broccoli florets. 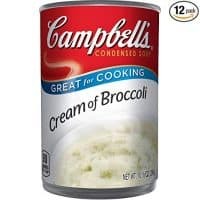 Then I added some cream of broccoli soup, cream of chicken soup and seasonings to the bowl. Then I added some shredded cheddar cheese to the bowl and stirred again. I dumped the mixture into a greased 9 x 13 inch baking dish and spread it out evenly. Then I opened a package of Pillsbury biscuits and cut each one into 6 pieces. I placed the biscuit pieces on top of the chicken and broccoli mixture, spacing them out as evenly as possible. Then I placed the dish in the oven and baked the casserole until the biscuits were nicely browned on top. I allowed the casserole to rest for a couple minutes before scooping and serving. This hearty chicken and broccoli casserole is packed with flavour. 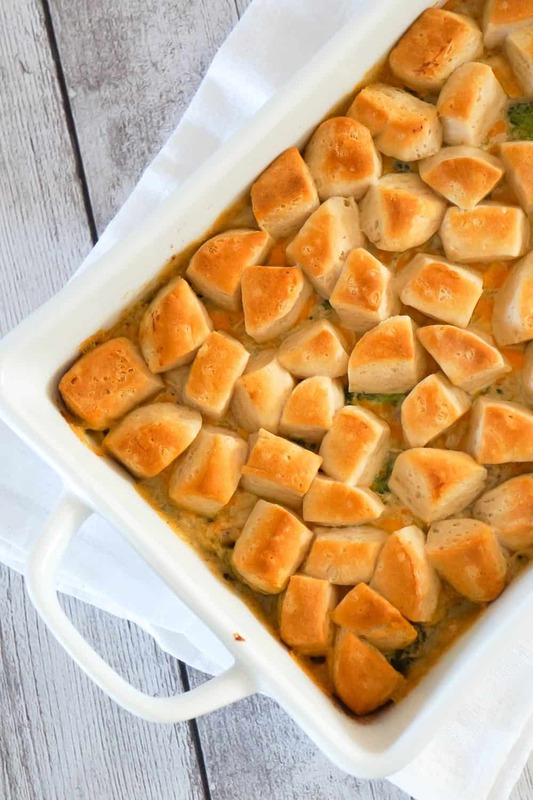 If you are looking for an easy but delicious chicken dinner idea, then you need to try this Chicken Casserole with Broccoli and Biscuits. 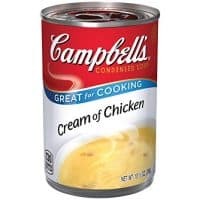 Another tasty chicken casserole recipe. 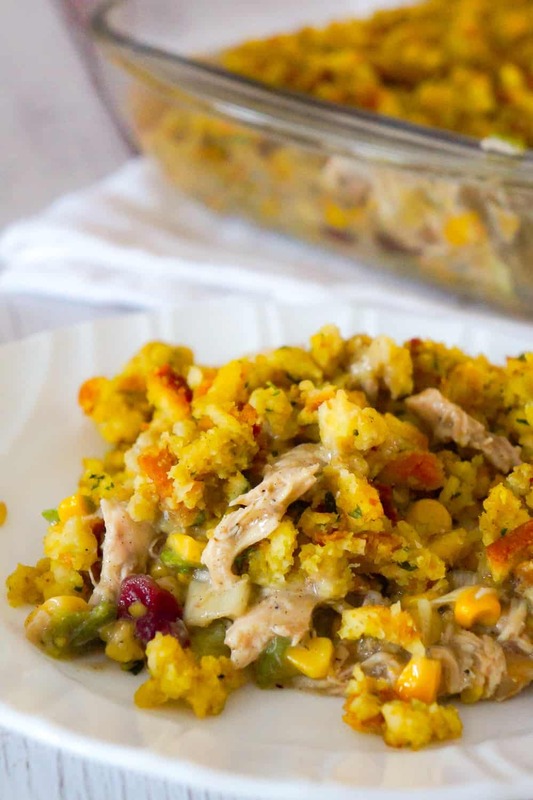 Check out this Chicken Casserole with Stuffing! 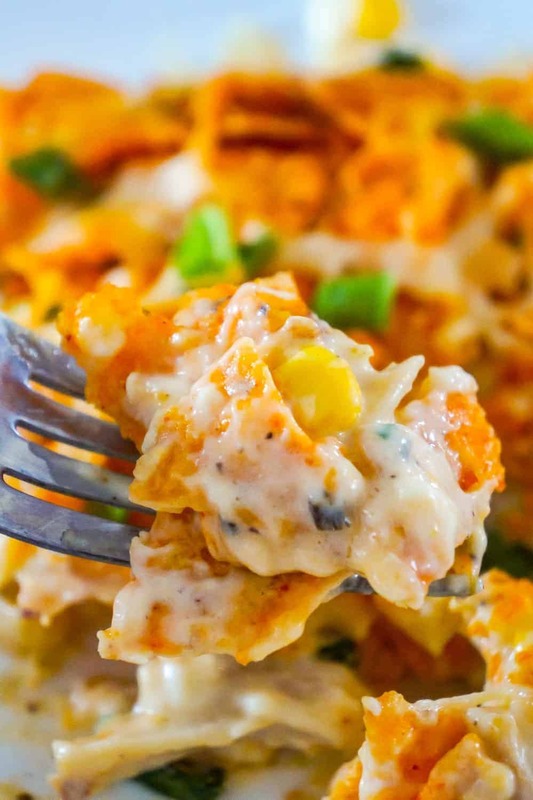 Be sure to also check out this Doritos Casserole with Chicken! 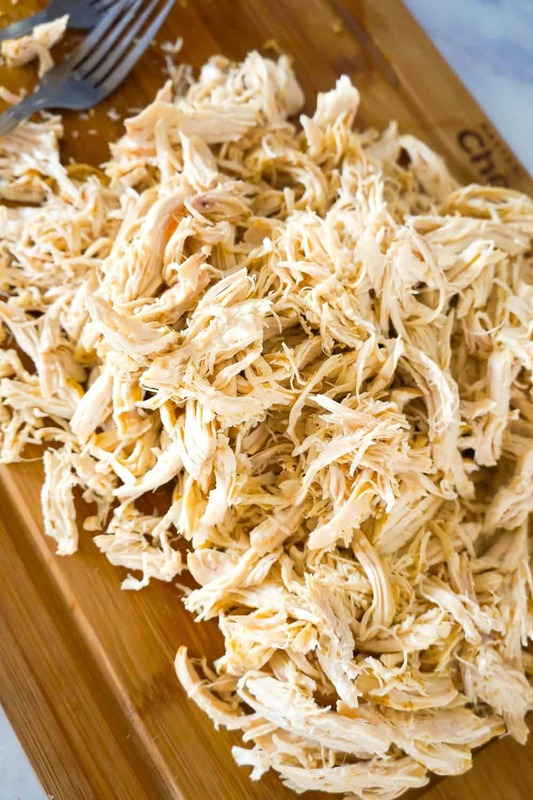 Check out this Instant Pot Shredded Chicken Breast Recipe. Perfect for using in casseroles, pasta dishes, sandwiches and more! 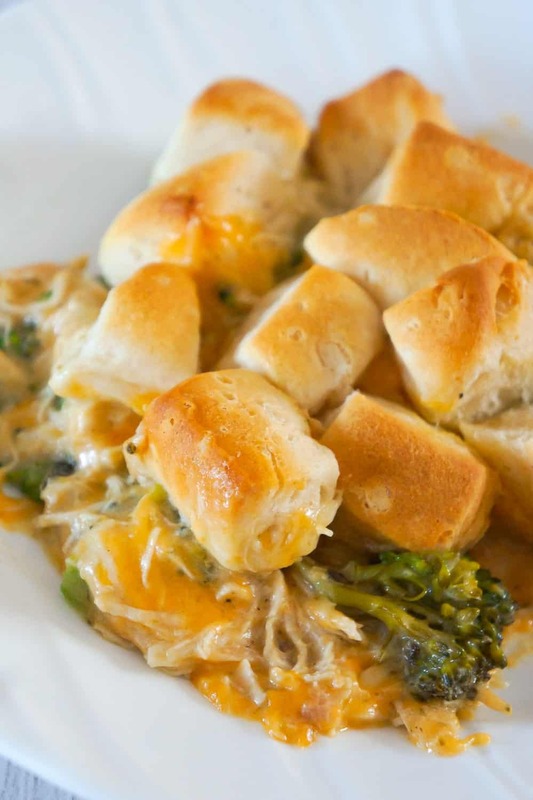 Chicken Casserole with Broccoli and Biscuits is an easy chicken dinner recipe using shredded chicken and Pillsbury biscuits. 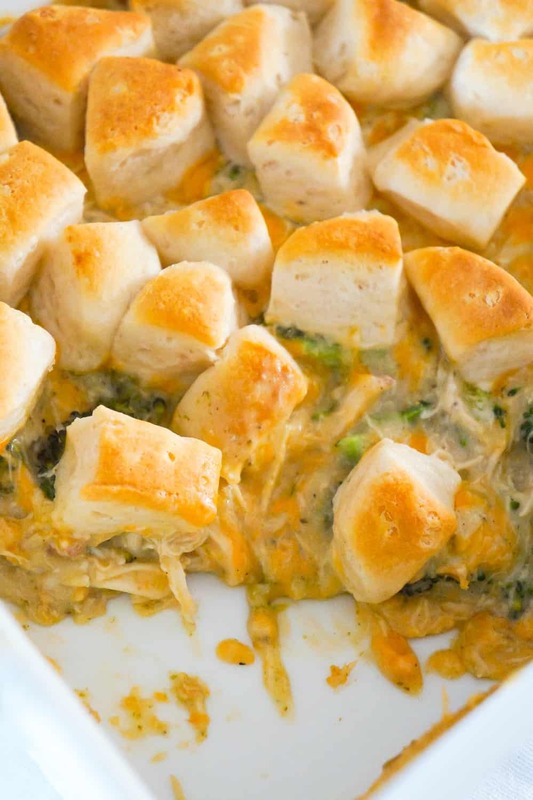 These creamy chicken casserole is loaded with broccoli and cheddar cheese. 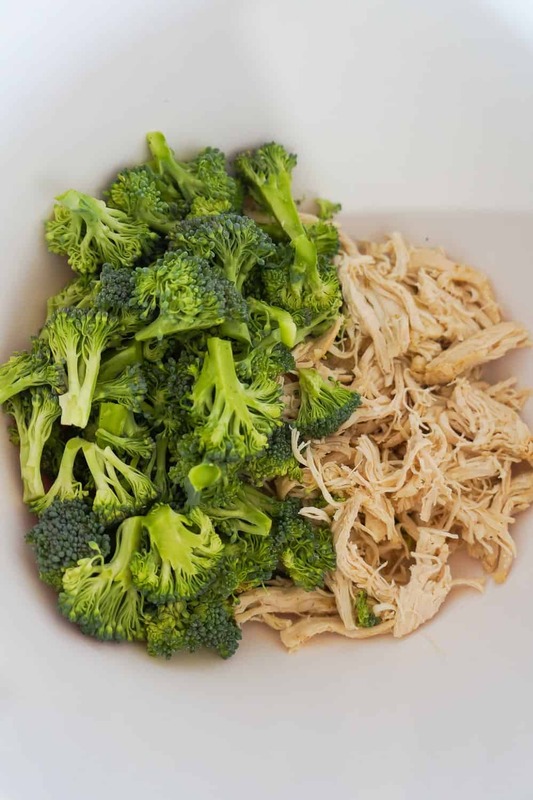 Dump shredded chicken, broccoli florets, cream of broccoli soup, cream of chicken soup, salt, pepper, garlic powder and onion powder. Stir well. Add shredded cheddar to the bowl. Stir well again. Dump mixture into a greased 9 x 13 inch bake dish and spread it out evenly. 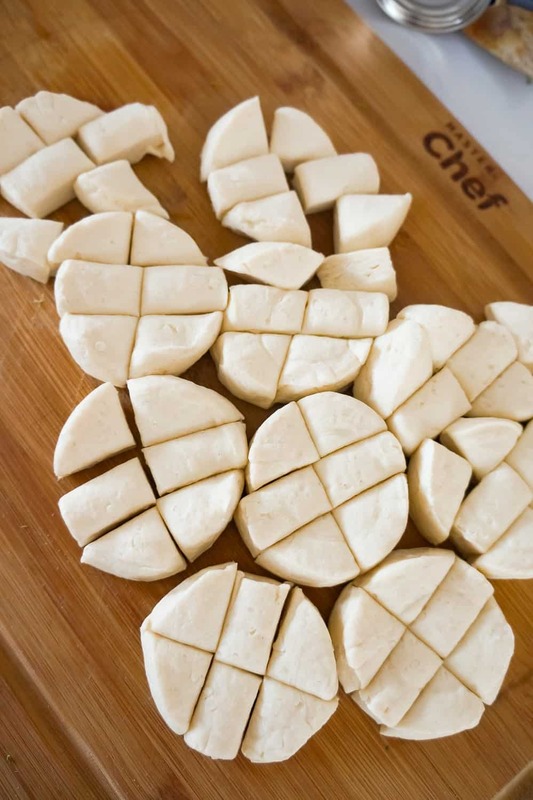 Open the package of biscuits and cut each one into six pieces. 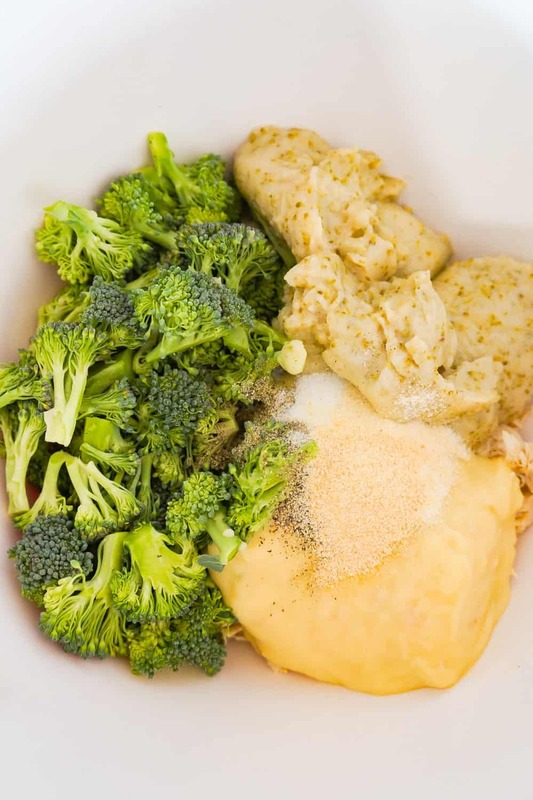 Place the pieces of biscuit dough on top of the chicken and broccoli mixture, spacing them out as evenly as possible. 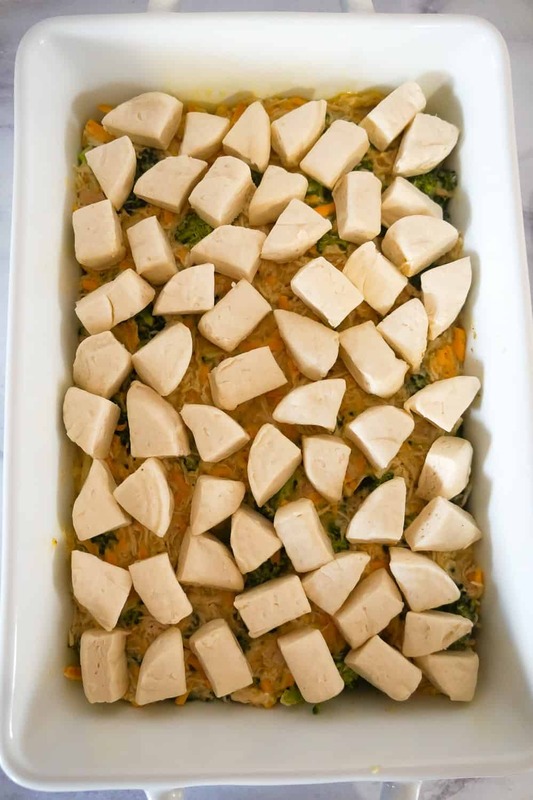 Place the dish in the oven and bake the casserole until the biscuits are nicely browned on top. 30-32 minutes. Remove from oven and allow to sit for a couple minutes before scooping and serving.